Task: to invite visitors to a zoo. While some animals of the Moscow Zoo enter hibernation, others are sad because fewer guests come to see them. 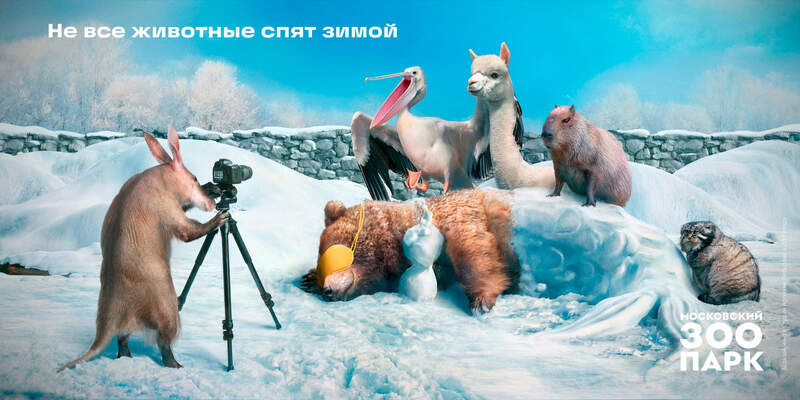 A gentle poster invites to visit the zoo in the winter.